Just in time it's the Out of Time Hoard for January, 2017! Procrastinators Horde, #148, is finally available! 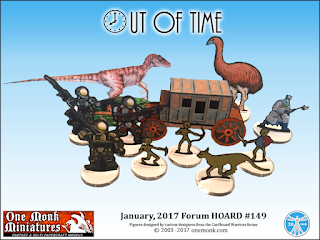 Thanks to Vermin King and Mproteau for keeping these Hoards moving and thanks to all of the artists who gleefully and generously contribute their works to this monthly project. 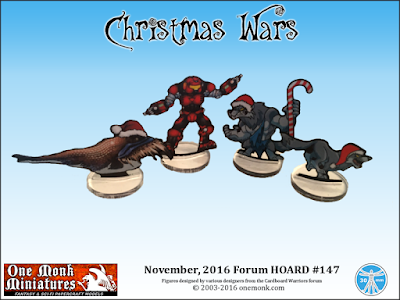 Christmas Wars, Forum Hoard #147, now available! 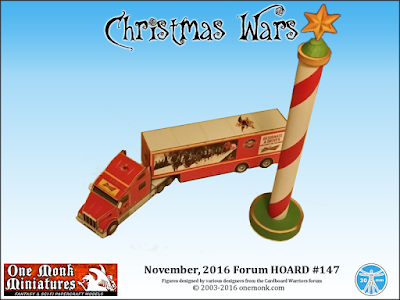 The Christmas wars Horde for 2016 is now available! Thanks to Vermin King and Mproteau for their hard work on completing this compilation and thanks to all of the artists who generously contribute to these forum endeavors. 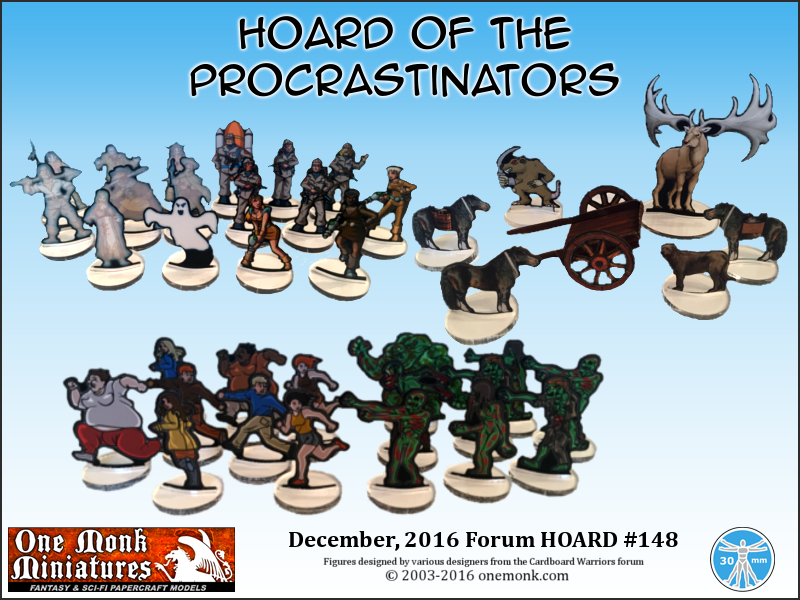 Hoard #147 has two files; one for standees and one for props.